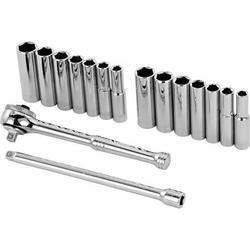 Catering to the requirements of our clients, we are involved in offering Socket Wrench. avaivable size in drive: 1/2'', 3/4'' and 1 inch. Holding a comprehensive range of all tools from reputed suppliers such as " Bahco" (Sweden), "Carl Walter" (Germany), "Super" (Japan) to na a few. - Unique swivel function in design enebles the socket end to rotate through 180 degree moment for convenient access to confined area. - Raise panel type, chome plated, Mirror poliched. •Heavy knurled Cap for better grip. 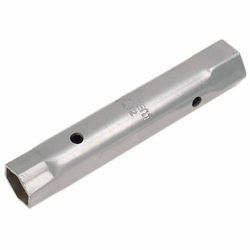 •Ideal tool for general tapping application. Designed to give greater flexibility and improved access when working in difficult conditions. Bi-hexagon (12 point). Manufactured from fully polished chrome vanadium steel. Conform with ANSI B107.5M.